Innovation and technological advancement are key drivers of competitive advantage for the U.S. plastics industry in today's business environment. The World Trade Organization (WTO) has established rules governing the protection of intellectual property rights (IPR) on a national level under its Agreement on Trade-Related Aspect of Intellectual Property Rights (TRIPS). This agreement establishes minimum levels of protection that each WTO member government must provide to the intellectual property of fellow WTO members. 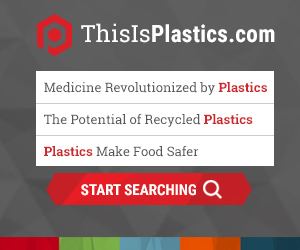 As intellectual property rights assume ever-greater importance for U.S. plastics producers, the Plastics Industry Association (PLASTICS) has become actively engaged in advocating enhanced IPR protection and stronger IPR enforcement abroad. PLASTICS is working both directly with U.S. government agencies and as part of a coalition with other industry associations focused on combating intellectual property theft. PLASTICS is an active member of the Coalition Against Counterfeiting and Piracy (CACP). The coalition works on a wide range of issues designed to help U.S. businesses protect their intellectual property rights both in the U.S. and abroad. CACP's initiatives include advocating stronger U.S. laws on IPR protection, addressing counterfeiting and piracy at international trade shows, sharing best practices, and encouraging voluntary use of the supply chain best practice guidelines created by its "No Trade in Fakes Task Force." To be able to more effectively advance the interests of U.S. plastics producers in the IPR area, PLASTICS is continually seeking information from members who have experienced counterfeiting or copyright/trademark violations abroad. PLASTICS treats such information with utmost confidentiality. Please contact PLASTICS to discuss your company's experience with intellectual property issues in export markets.